Roll out pastry thinly and cut 3-inch (8-cm) rounds to fit 12 muffin tins or individual tart tins. Whisk together sugar, butter, maple syrup, eggs and vanilla. When combined, stir in pecans. Fill each pastry shell until ¾ full. 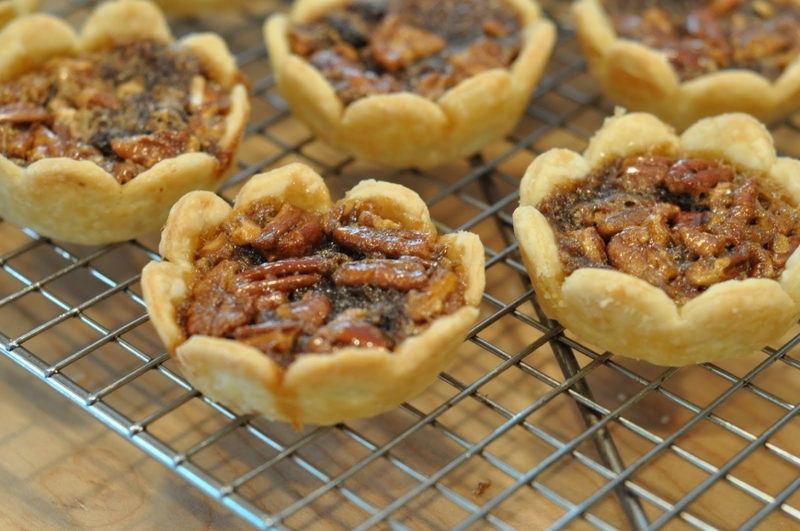 Bake tarts for 15 to 20 minutes or until filling is set and pastry is cooked.